A hacking group exposed some nasty holes that Apple has patched with an emergency fix. 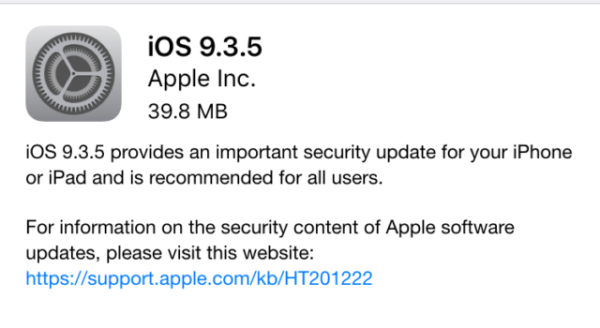 Over the past few days, Apple has released a point-release to iOS 9.3 – iOS 9.3.5 – that was released to patch vulnerabilities exploited by the Pegasus malware. Pegasus, a set of tools that is branded as “lawful intercept” spyware by the NSO Group and has sold to some nation states for up to $1M USD. It could be used to remotely jailbreak iPhones and then use the device’s microphone to eavesdrop on suspected dissidents and its cameras to capture images of them. iOS 9.3.5 was released to specifically thwart this malware.